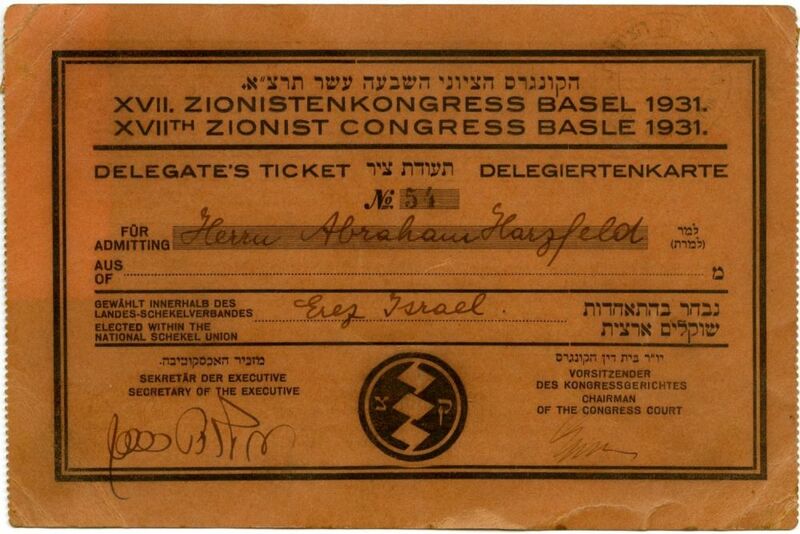 Delegate's ticket for the Israeli representative at the 17th Zionist Congress, Mr. Avraham Herfeld. The congress took place in Basel in 1931. Personal details are recorded on the ticket, signed by the chairman of the congressional court and the executive secretary. The reverse contains instructions for use of the ticket in three languages [Hebrew, German and English]. At that congress, the revisionists' proposal to declare the aspiration to establish a Hebrew state on both sides of the Jordan was rejected. In light of this, they withdrew from the congress.